For online ticket purchase, + $5 service charges. The tour is now over! Thank you to all of our supporters and audiences for a very successful project! For detailed reports go to our Final Reports Page. To see the tour itinerary go here. 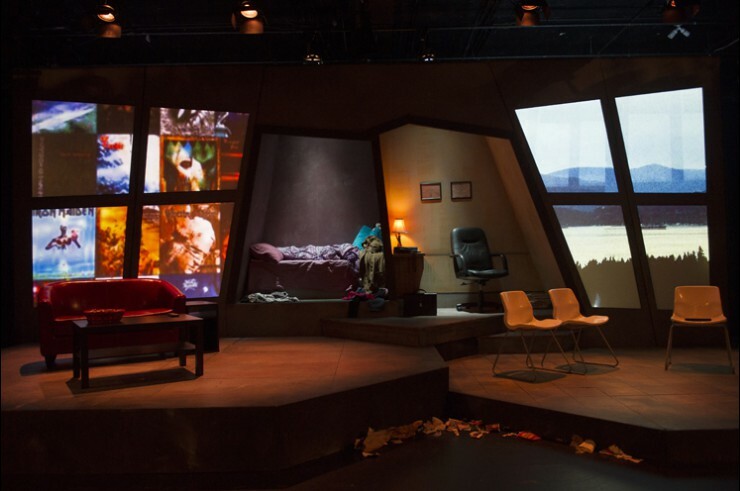 maladjusted Tour Set, designed by Yvan Morissette, photo: David Cooper. 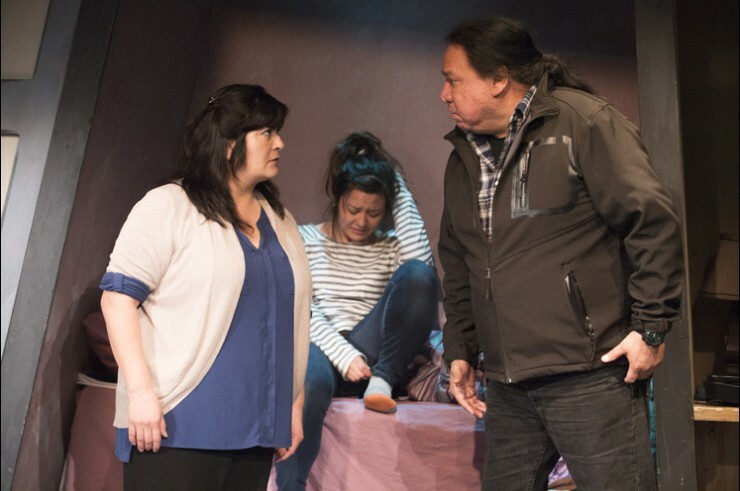 Left to right: Columpa Bobb as Mia, Micheala Hiltergerke as Danielle and Sam Bob as Frank, photo: David Cooper. Left to right: Micheala Hiltergerke as Danielle and Pierre Leichner as Dr. Devreaux, photo: David Cooper. Left to right: Martin Filby as Jack and Sam Bob as Frank, photo: David Cooper. 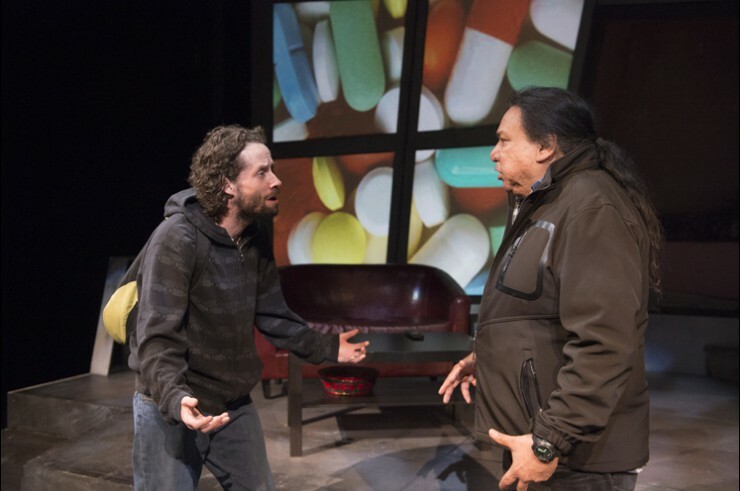 Theatre for Living will remount and tour our 2013 audience-interactive Forum Theatre production maladjusted which explored the mechanization of the mental health system and how stigmatization of mental health issues happens inside the system itself. The production, created and performed by mental health patients and caregivers is a “true voice” that seeks local solutions to this issue in terms of ways to provide and receive more “human centred” care. Audiences raved about maladjusted. Attendance was high, playing to 76% houses over 18 performances at the Firehall Arts Centre in Vancouver (136 seats/night). Including a global, interactive webcast and telecast we reached a total of 17,558 viewers.